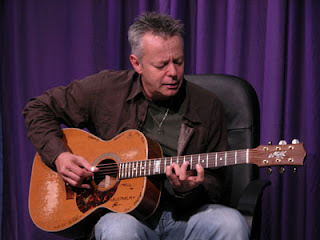 Recently I had the above shown cd, 'Just Between Frets', featuring Tommy Emmanuel and Frank Vignola. The cd was recorded in two days according to the liner notes and released by Solid Air Records last year in the series 'Groovemasters', a project that aims to team great contemporary guitar players in a duo set-up and record the result. This cd featuring Tommy Emmanuel and Frank Vignola is vol. 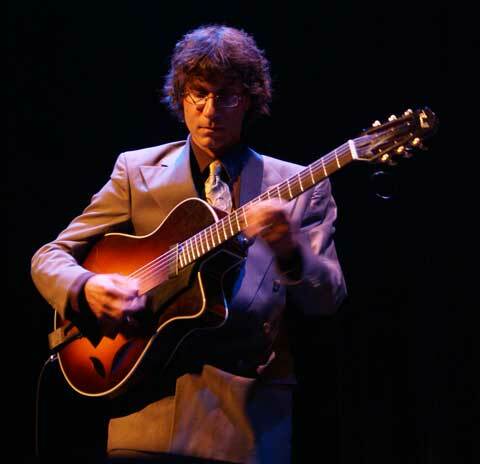 11 in the series of Solid Air's 'Grovemasters', and in one way the cd transcends the mentioned set-up concept, as the two guitarists here are accompanied by bass player Gary Mazzaroppi on all twelve tracks. 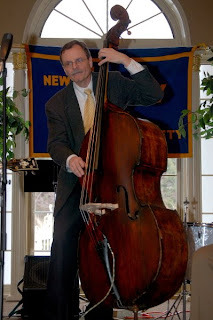 The addition of Mazzaroppi's double bass, however, is well chosen and fits perfectly the chosen tunes and helps generate an atmosphere that allows the two guitarists to concentrate on the music; Gary Mazzaroppi's bass provides a solid but unobtrusive anchor of the session and he also gets the chance to shine through in brillant solos when called upon. The two guitarists should not need a detailed introduction here, they both belong to the absolutly top notch players of the contemporary scene. - The repertoire of the disc features magnificent renditions of standard tunes from the American book, such as "Tenderly", "How High The Moon" and "I've Got A Crush On You", and there are popular tunes such as "Young At Heart", "Sweet Dreams" and "Paper Moon", furhter some tunes connected with the legacy of Django Reinhardt: "Clouds" (Nuages), "Swing 39/Swing 42" coupled as a medley, "Django's Castle" and "Nature Boy". Two original compositions by the duo made on spot for this session are "Swing 09" and the final track "Just Us 4 All". All twelve track on the cd are well arranged with solo space to each of the players, and the overall impression of the disc is a delightful experience of an intimate session that really let the listener get the chance to enjoy guitar music at a high qulity level, both in interplay and featuring wonderful solo contributions by these groovemasters. - The critics have received the cd well with lot of positive remarks, and there has been arranged a series of live performances with the set-up of the cd that have gained success with the public as well. Luckily, several live recordings of these performances have been uploaded at YouTube, and to end this I'll insert a couple of available videos featuring tunes played on the cd. From the same live performance, here is a reading of "How High The Moon"
Finally, here is the Django-medley featuring "Swing 39/Swing 42" - Enjoy! Very informative! Thanks for the post. Keep the good work up!